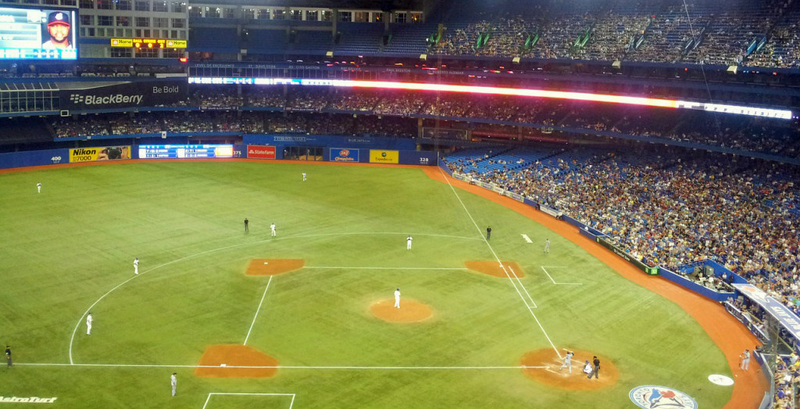 Employees want to play hooky for the Jays game? I say help them. You know you’re retired happily when you turn down a chance to be a sports hero in public. Let me explain. This week I was offered a radio interview to comment on what bosses should say if employees fake illness to see the Blue Jays play one or possibly two games in the Eastern baseball pennant finals. In a backhanded way I’d be the perfect (but former) HR VP to comment. I represent the sort of boss least interested in sports, therefore most likely to lack understanding on this issue. I’m so not-hooked-in that my spouse had to explain the problem later – real fans had to buy their tickets blind, without any way to know what time of day the games would be and now two turned out to be within regular work hours. What should a boss do? My answer would have been this: bosses rarely get as good a chance to show how much they care. A proactive manager would hear about the problem and actually encourage ticket holders to go. Sure a few others would complain that’s unfair, they missed time off that someone else got and, sure, a bit of work might be delayed. Actually it would be an opportunity to politely broadcast your caring by asking others to pitch in to help make time off for the lucky few possible, but even if they didn’t or it turned out to be a work team all going, how bad is that in the big scheme versus the priceless opportunity to show real support for your people? Chances are you have no one who will miss work anyway, yet you actually demonstrate caring. However I believe totally in trying to save people from bad situations. I never want to make an employee have to lie. If you do, what else might some be tempted to hide? And you’d strengthen any desire to hit back at the company for being so lacking in support. Instead you have a chance to do the right thing and, as well, be seen to do it – in a situation that costs you maybe nothing or close to it. Hero for no cost? How can we even be asking the question? What’s wrong with bosses who can’t see this? Most of this flashed through my mind as I said no to the interview. Someone presently active should be answering what they would recommend. If my hundreds of blog posts on what bosses could do better didn’t help these sorts of decisions, one more interview wouldn’t do it. I think HR today is making a growing impact on doing the right thing in such situations. And I’m really enjoying retirement from the battles. There is life after, and outside of, work. It is worth working hard to get there and it’s worth stepping back when you do, trusting and applauding the great recommendations that others, in this case busy HR people, must make routinely every day on issues great and small. I’ll end with just one more story. The day the twin towers fell, we all recall the scenes on TV. A senior HR executive in our company called me about 11 a.m. with a puzzle: her boss was considering ordering all the TVs shut off in all their stores and offices nationwide because crowds were gathering and impeding shopping and work. I’m sure you can imagine my answer. Sometimes work has to take a bit of a hit for the greater emotional wellness of real human beings. Radios and TVs will no doubt be on for these games, far less dramatic than the towers, but still a critical a chance to build engagement and mutual respect. Now, except for this, I promise I’ll keep all future comments short and my retirement intact! Would you let your employees miss work for a ball game in the finals? Dave Crisp is former SVP HR for Hudson’s Bay Company and a current member of Strategic Capability Network.